La Escuera Camper Vans site This mini camp is located in the palm garden of “La Escuera” on the beach side of La Marina Urbanisation and within walking distance of the center with its many restaurants, bars, shops and weekly market. Camper Park Oasis al Camino. 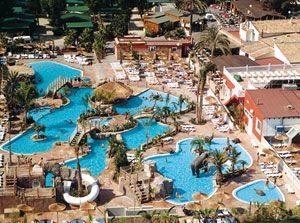 Oasis Camper Park Situated in San Fulgencio just behind Iceland, Alicante just off the Mediterranean coast road near La Marina. The site is located approximately 2 km from the center in a quiet location. Shopping Lidl, Mercadona, Appie Hein and Iceland. They are about 5 minutes on foot from the camp site. The beach is about 1 km. We are in San Fulgencio, in Valencia, Alicante on the Mediterranean coast, with high average of sunny days, minimal rainfall, weather is always nice. In winter, no snow or frost. Address: Bay of Biscay 7 – CC Las Dunas. From the north, Highway 332, from La Marina, the next roundabout turn right at the Centro Comercial Las Dunas. If accessed from the south on the N-332, from Guardamar del Segura at the second roundabout turn left 38 sites wide. Camping site at La Marina. A very efficiently run by a friendly Belgian family, La Marina has 381 pitches of three different types and sizes ranging from 50 sq.m. to 150 sq.m. with electricity (16/25A), TV, water and drainage. 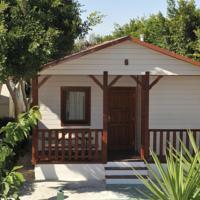 Camping Marjal at Guardamar Del Secura (Alicante). Camping site at Guardamar Marjal is one of the most modern tourist complexes on the Mediterranean. In Guardamar del Segura, next to an impressive pine and eucalyptus forest. Come and choose a Camp site on the Costa Blanca, ‘white coast’ in Spain, are a guarantee of a fantastic holiday. But there are numerous other activities to enjoy around the camp site’s. The Costa Blanca boasts breathtaking areas of natural beauty, cities brimming with culture and delightful theme parks. With a really pleasantly mild climate during the winter, this enthralling region is perfect for camping the whole year round. Go Motorhoming and Campervanning: Motorhome and Camper Van Guide (In Europe). from spain info Spanish Camper Sites. Hi Do please come on over and look at A Seaside Resort in Spain where many have escaped to so as to enjoy the all year round Sunshine. If you wish you can even make the odd post onto La Marina Info here in Sunny Spain. Keep up with the latest gossip in La Marina area warts and all BUT we enjoy it here. https://www.facebook.com/groups/La.Marina.Info/ It is an open Forum to take part just click in the box to join. It is Free to join and to make postings. Come and Follow local happening’s and even a bit of what’s going on and where.